Join us at our 1st Annual Bowl-A-Thon at Pin Chasers Veterans on Saturday, April 20th from 11am to 3pm. 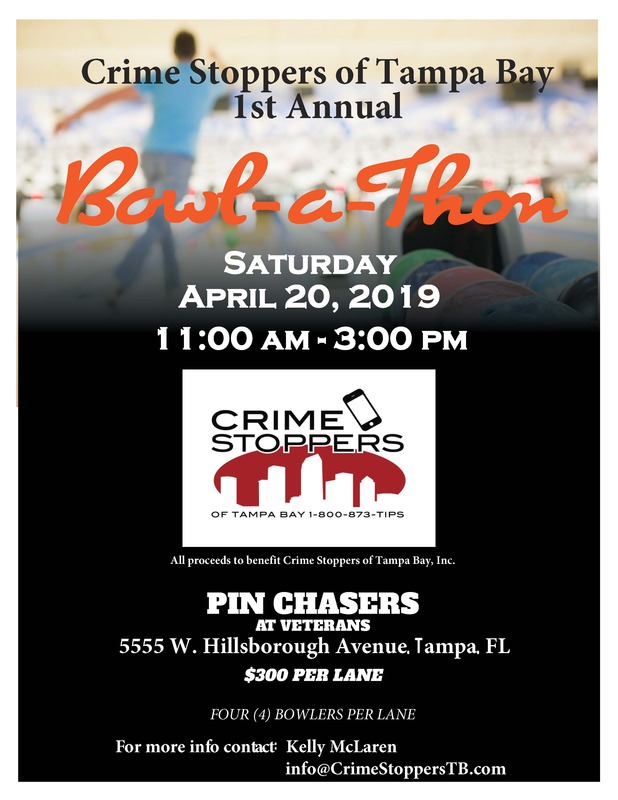 Crime Stoppers of Tampa Bay is a community based program that has assisted law enforcement agencies for over 31 years. We are funded by private donations, fund-raising and a grant from the Crime Stoppers Trust Fund. NO TAX DOLLARS are involved. Help us to make Hillsborough and Pasco Counties a safer place to live, work and play.